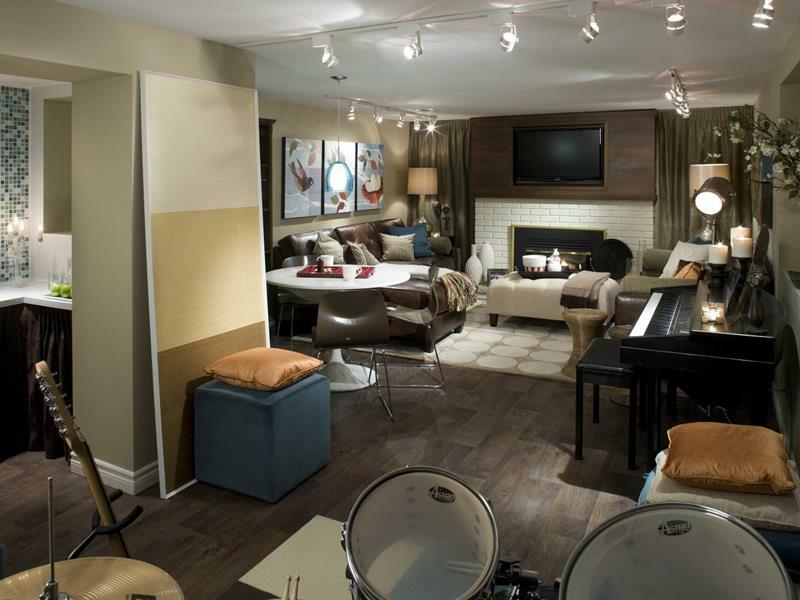 When it comes to increasing the usable floor space in your home, the final frontier is the basement. Right now, it might just be seeing use as a storage space for all of those things you and the rest of the family don’t touch anymore. But, it could be so much more! With some hard work and elbow grease, you can convert that massive footprint into a space that you, your family, and your friends can enjoy for many years to come! 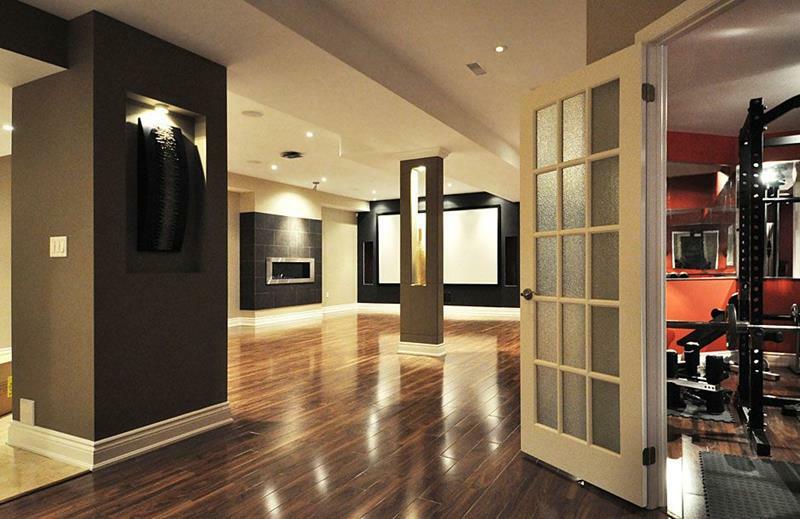 Of course, part of putting together and completing a finished basement is in choosing a design aesthetic. For many these days, that means opting for a contemporary style, as more and more people are going for open floor plans within their homes. If you find yourself in this boat, then you’ve come to the right place, because we’ve collected 22 contemporary finished basement designs that will provide you with plenty of inspiration! So, if you need that contemporary look for your finished basement, and you need some other designs to look at, check out these examples! And, if you ultimately end up following through on your basement-finishing project, be sure to share the results with us! Thanks to the dark hardwoods and track lighting overhead, this finished basement design has a lot of contemporary style. 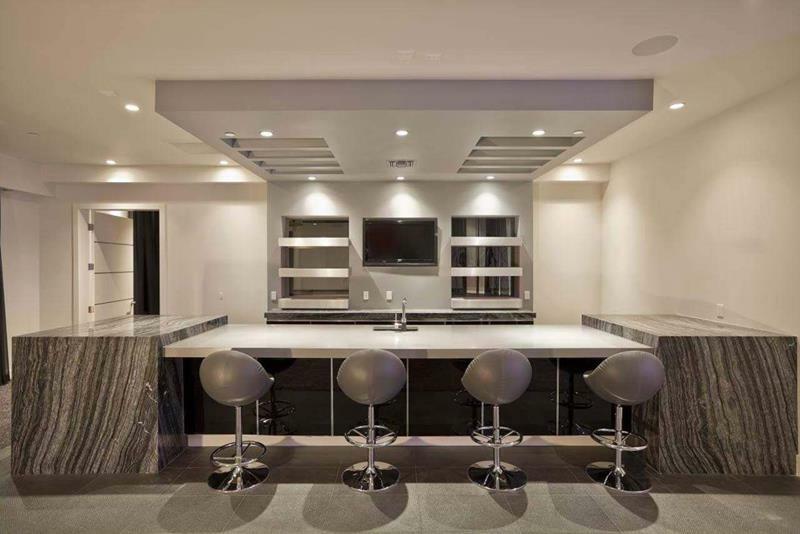 If you want to add some contemporary flair to your finished basement, you could go for a bar design like this one. 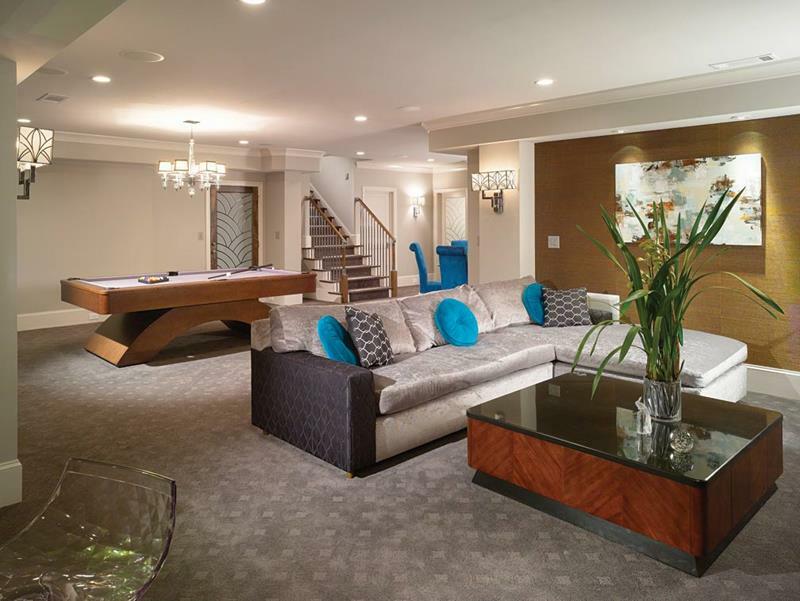 The gold accent wall and the bold furniture pieces help to lend a contemporary vibe to this finished basement. 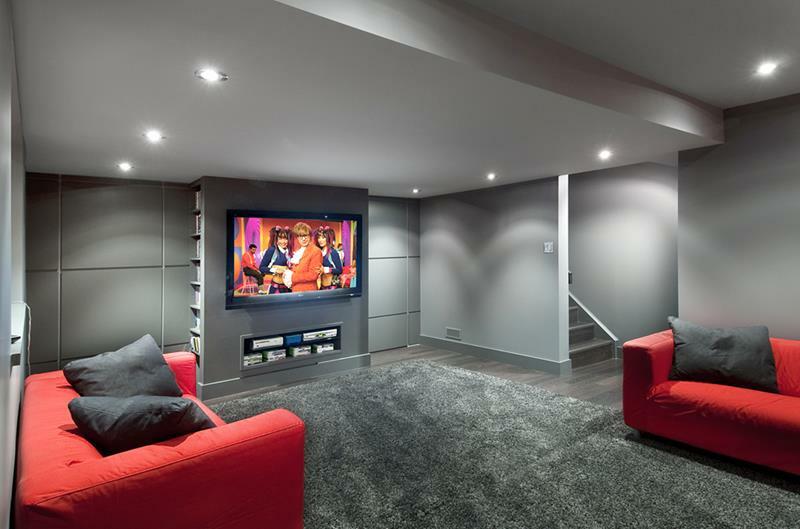 Those who appreciate the contemporary style will find a lot to love in the grey and red color scheme of this finished basement. 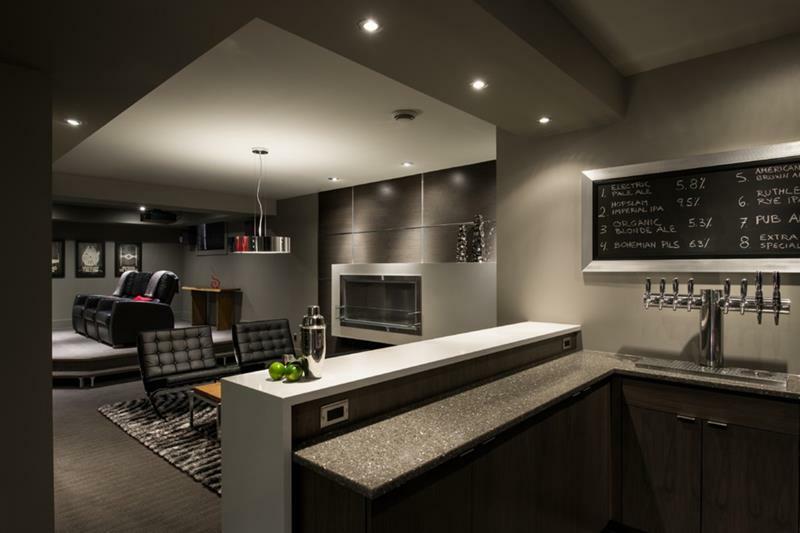 The beer board in the bar is the coolest touch in this amazingly contemporary and modern finished basement design.